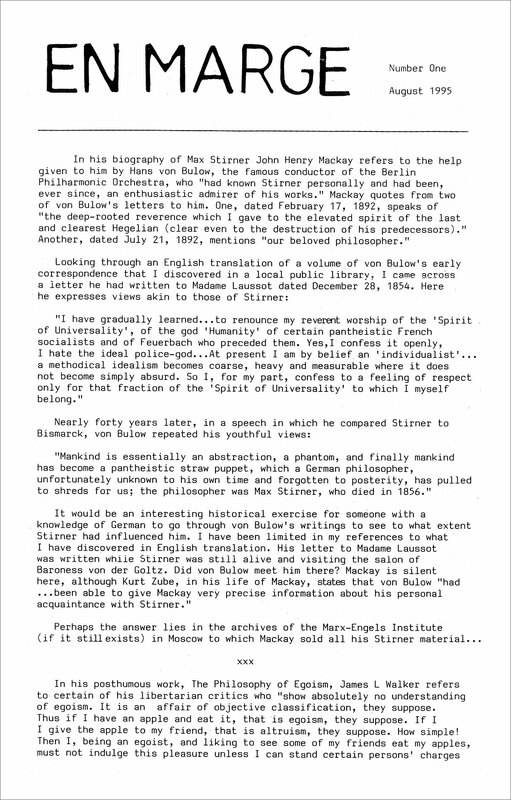 Sidney E. Parker edited or published a handful of journals in his life. 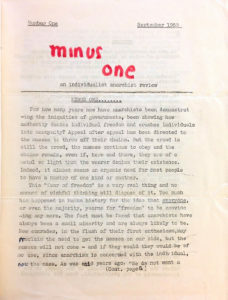 The earliest was titled The Anarchists, written while he was transitioning from a young Communist into Anarchism, until his last En Marge, when he was an Egoist. 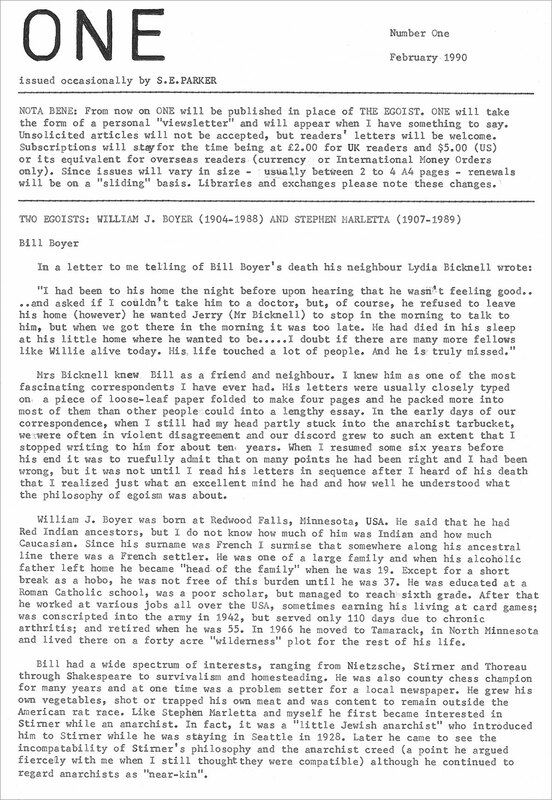 His wife Pat was a frequent contributor, but also published her own journal, PMT Times. At some point we will try to post more information about it. 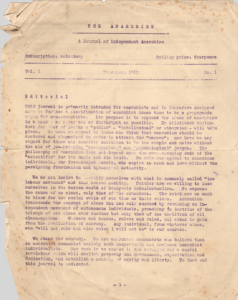 The Union Of Egoists site hosts downloadable copies of many issues of these journals, and so they’re not being hosted here in addition. 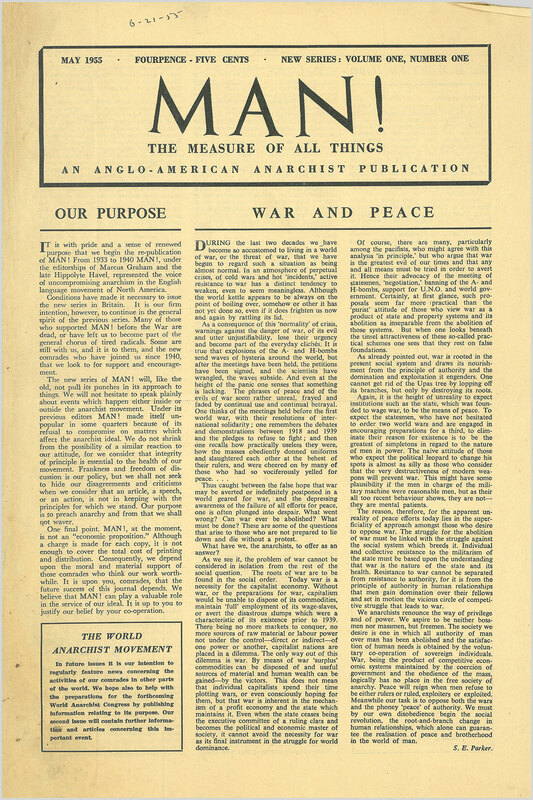 Recently discovered among Parker’s papers is a mimeographed issue of The Anarchists. Volume 1, No. 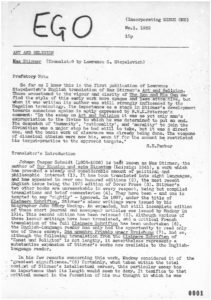 1, from December of 1952. It is unknown how many issues were made, or how many copies of each issue there were. 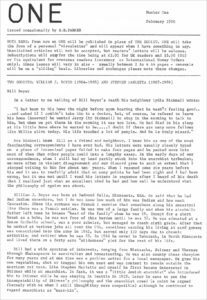 A revival of a journal by the same name, S.E. Parker edited the first three issues. This will be the last number of this bulletin. 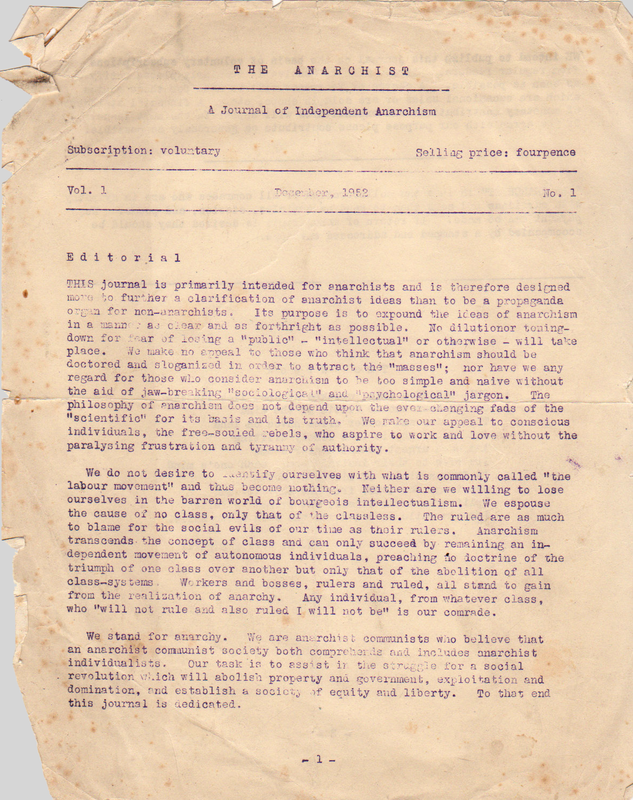 Its place wil (sic) be taken by “EGO – an individualist-anarchist bulletin.” It is hoped that “EGO” will serve the purpose of being both a distinctive voice of individualist-anarchism in the English language and be a means of keeping individualists of “our kind” in touch with one another. Contributions, suggestions and offers of help in distributing, will be very welcome. There is an index and contents page, and many issues that can be downloaded, from the Union of Egoists website. 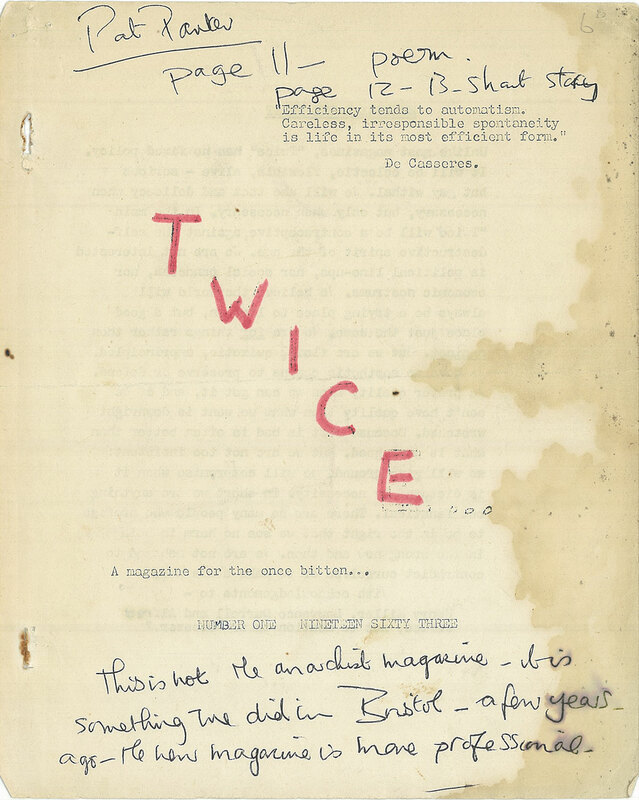 To our knowledge there was only one issue of Twice, a creative writing journal co-published with his wife Pat Parker. 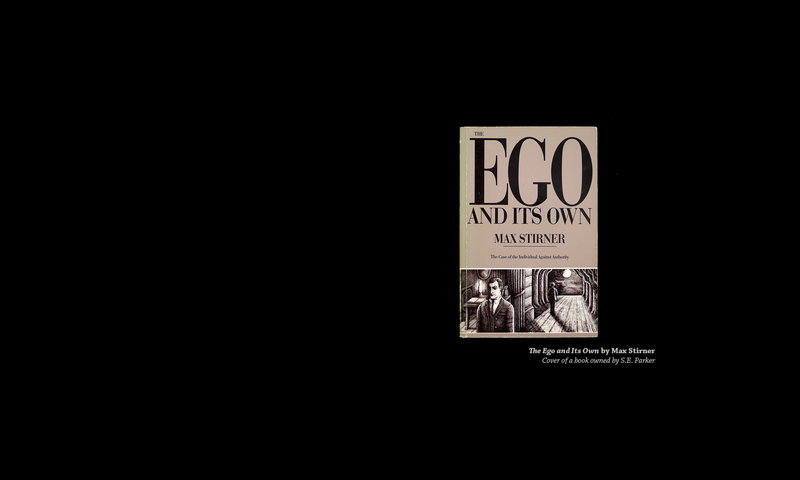 There is an index and a downloadable PDF at the Union of Egoists website. I dropped the name Minus One in 1982, because by that time I had stopped calling myself an anarchist. 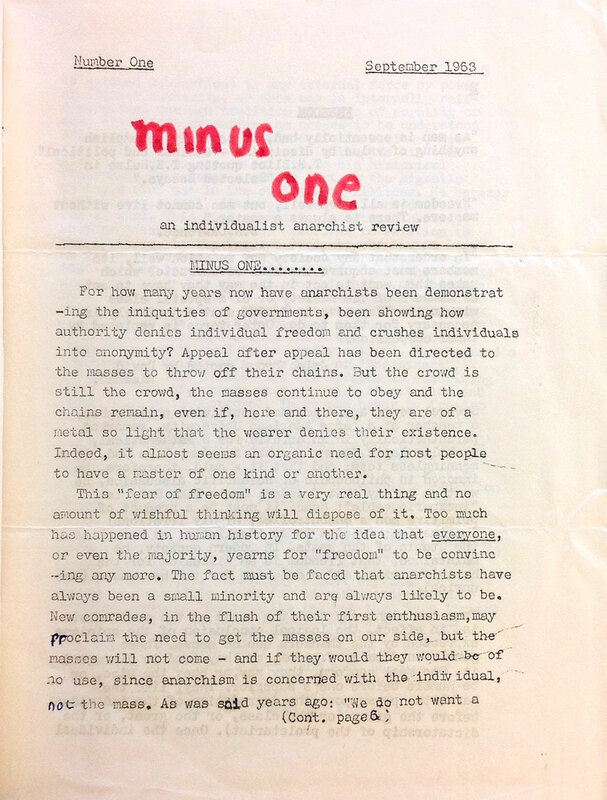 Since Minus One was classified and identified with anarchism, I decided I wasn’t going to continue the title, but continue the publication, first calling it Ego, then The Egoist, then back to Ego again. 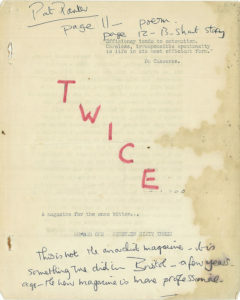 A copy of a journal titled ONE was located in Sid’s materials. 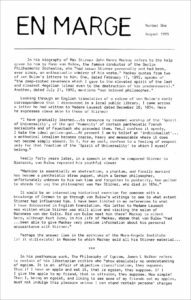 It was just a two sided single page formatted like En Marge (1995) would be 5 years later. 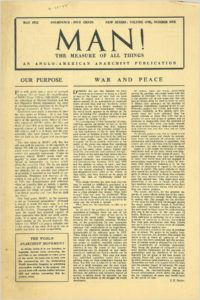 It is unknown if any copies were produced or distributed, but assume it wasn’t as the contents were published in The Egoist#12. 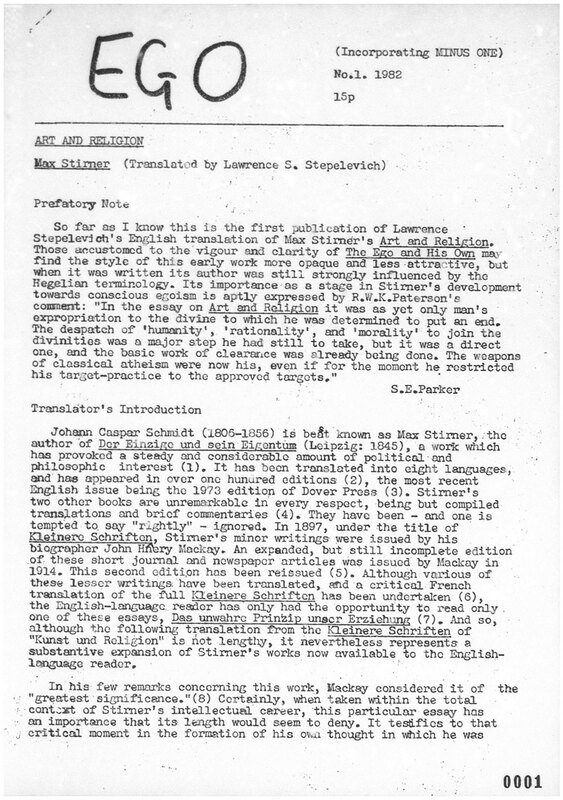 Sid finally decided that he wanted to issue a smaller occasional journal, which he referred to as a “viewsletter,” that he intended to only issue infrequently. Much like the mock-up of One done five years earlier, En Marge would be one double-sided sheet of paper. Only two issues were ever published, the second being in 1996.